I should probably admit that I’ve never actually been to New Orleans, so Mardi Gras isn’t something I’ve personally experienced, but that’s no reason I can’t bring the party to my house. 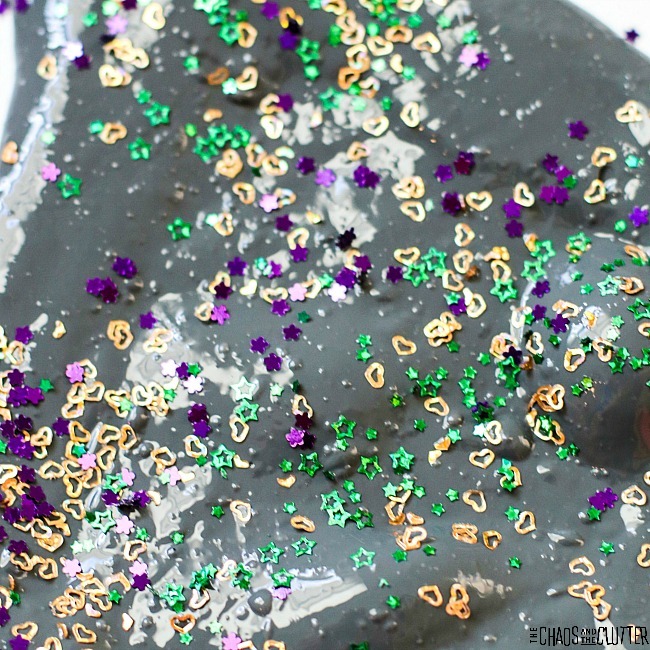 This Mardi Gras Slime brings the party to sensory play. Pour the whole 5 oz. bottle of clear glue into a small mixing bowl. Add in ½ cup of warm water and stir. Drop in a few drops of grey acrylic paint. Stir. If desired colour isn’t achieved, you can add in another drop or two. Add 1 Tbsp. contact solution to the mixture. It will begin to form instantly. At this point, it will be quite sticky. Don’t worry! Continue to mix the contact solution in the bowl until it starts to pull away from the sides and form. Add the confetti and mix in. 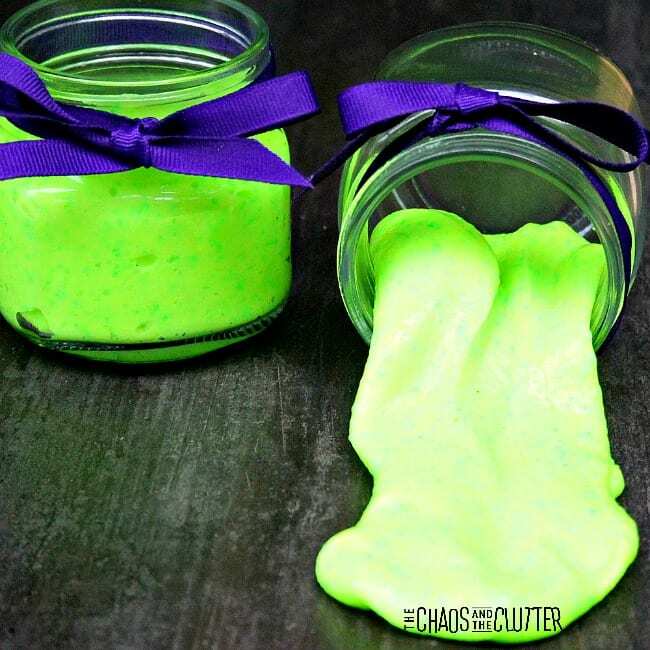 Store the Mardi Gras slime in an airtight container. 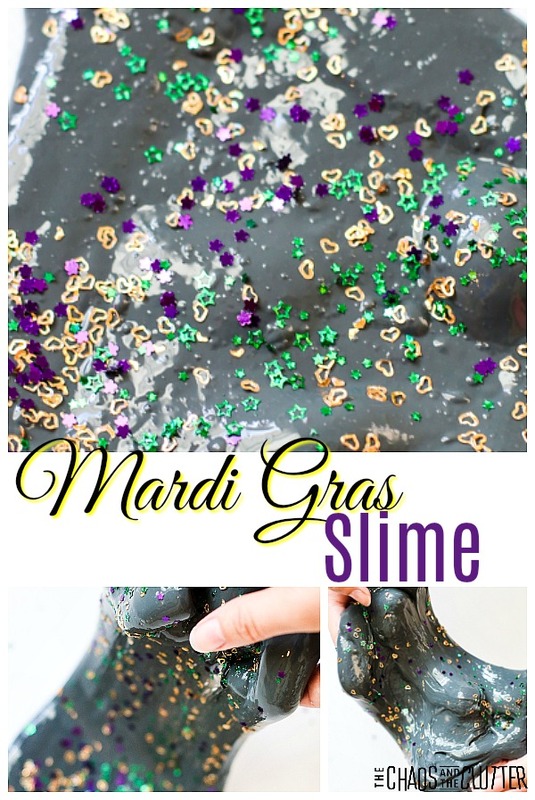 You can set this slime out with Mardi Gras beads. This will provide another element for sensory input in the play. 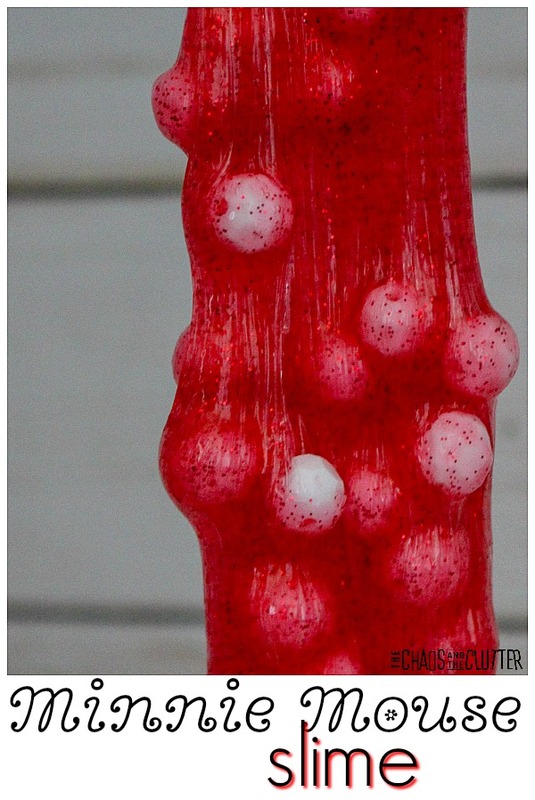 The stretchy slime will contrast against the hard beads, offering a great tactile experience. Kids will enjoy playing with this and watching the confetti mix in. The contrast of colours is really quite striking! Slime can be part of a sensory diet. It offers visual, tactile, and proprioceptive sensory input. Find other sensory play recipes including slimes by grabbing a free sample of our Sensory Play Recipes eBook. Simple enter your email below and you’ll be set! When I was in the 5th grade, I was obsessed with unicorns. Most of the girls in my class were. So when unicorns made a comeback a few years ago (I mean really, how can unicorns ever go out of style?! ), I wasn’t surprised. This unicorn fluffy slime is like a gift to my grade 5 self. My girls love unicorns too. 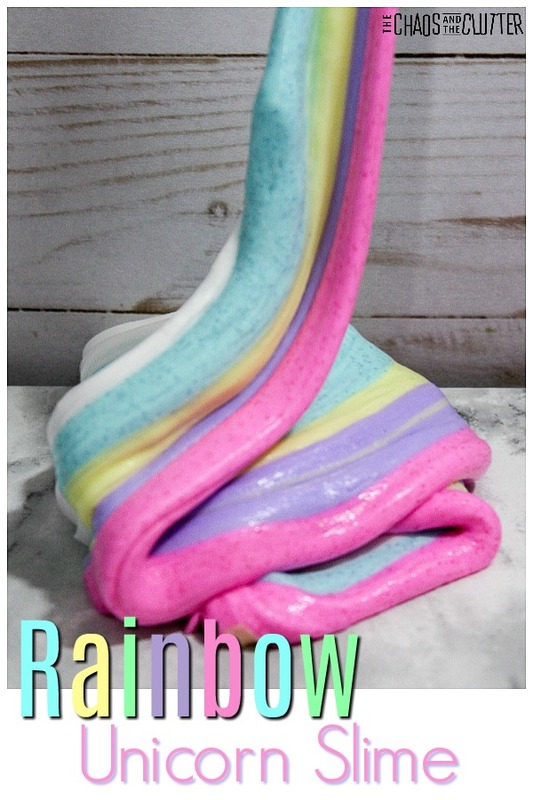 So a unicorn slime was in order. We decided on a rainbow unicorn fluffy slime. Of course, we used pretty colours and lots of glitter! 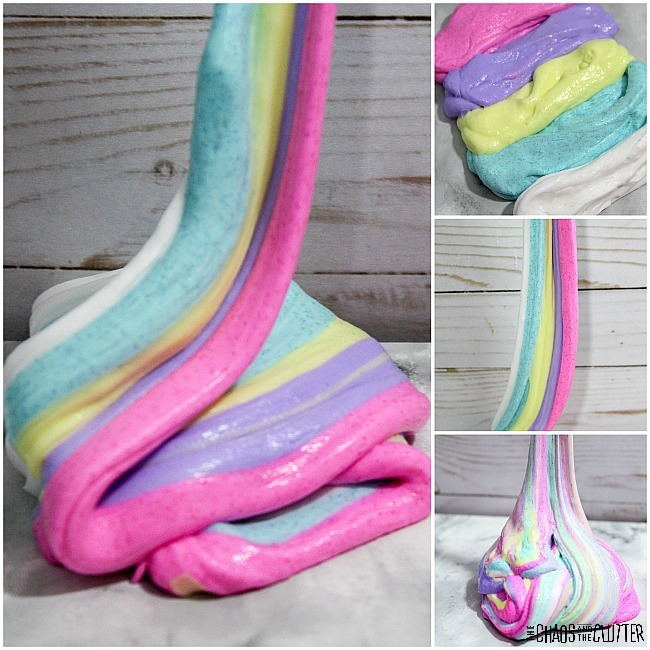 To make this unicorn slime, you need to like making slime because you’re going to need to make 5 colours. You’ll make each colour separately. For those wanting a sensory activity for your kids that promotes proprioceptive input (heavy work), there will be a lot of kneading, pulling, and stretching to make these 5 colours. 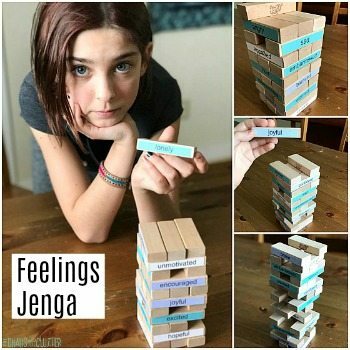 This is a great way to get in that heavy work which helps kids with self-regulation. Pour 1/2 cup of white glue into a bowl. Add 1/2 cup of shaving cream. I like my slime a bit on the fluffier side, so I add a bit more than 1/2 a cup. Mix. Stir in 1/2 cup of foaming hand wash and mix well. The mixture will be very foamy at this point. Add 1/2 tsp of baking soda and 1/2 tsp. of body lotion. Put in a few drops of food colouring or candy colour. You’re going for pastel colours, so you won’t need to add much. Always best to add less at first. You can always add more later. 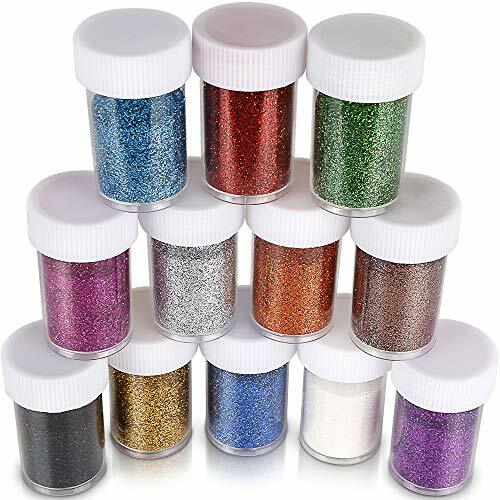 Now is the time to add the glitter! Add the colour that corresponds with the colour of slime you’re working on. Use the iridescent for the white. Add in 1/2 tsp. of baking soda. You may need to add a bit more (see troubleshooting notes below). Put in 3/4 Tbsp. contact solution. Again, you may need slightly more (troubleshooting notes below). You have the right amount when the slime starts to pull away from the side of the bowl when mixing. 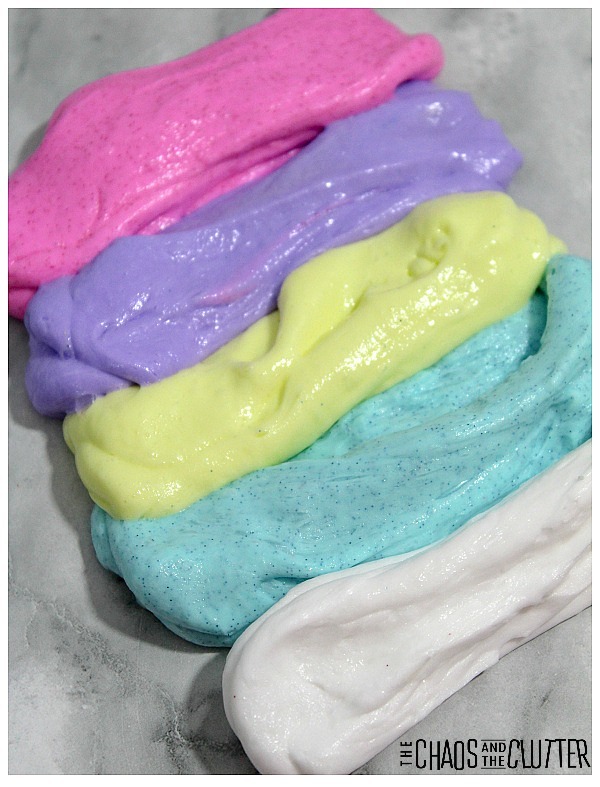 Repeat the same steps for each of the other colours, omitting step #5 when you make the white slime. You will have a total of 5 types of slime. One white, one yellow, one teal, one purple, one pink. 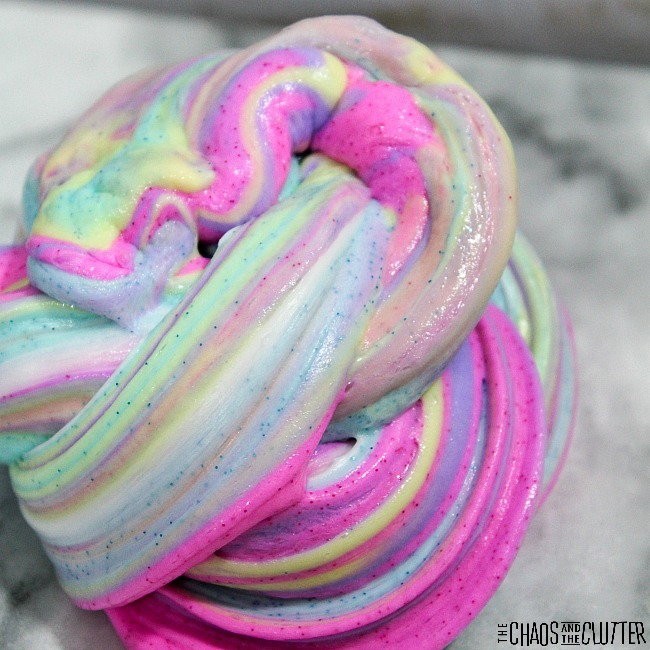 Swirl all the slime together. Store your slime in an airtight container. 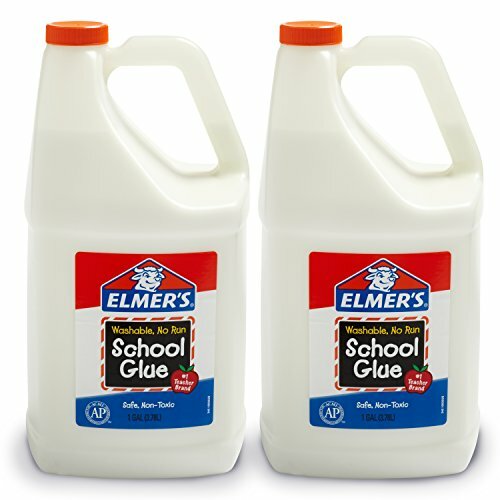 I suggest always using Elmer’s school glue. Using less expensive glues hasn’t given me good results in the past, so I’ve learned to stick with the tried and true. If you’re wondering how to fix slime that’s too runny, I’ve got you covered. Baking soda will thicken the slime, but you’ll only want to add a tiny bit at a time and make adjustments as you stir. Or maybe you’re wishing you knew how to fix slime that’s too sticky. Add more saline solution one drop at a time to make your slime less sticky. 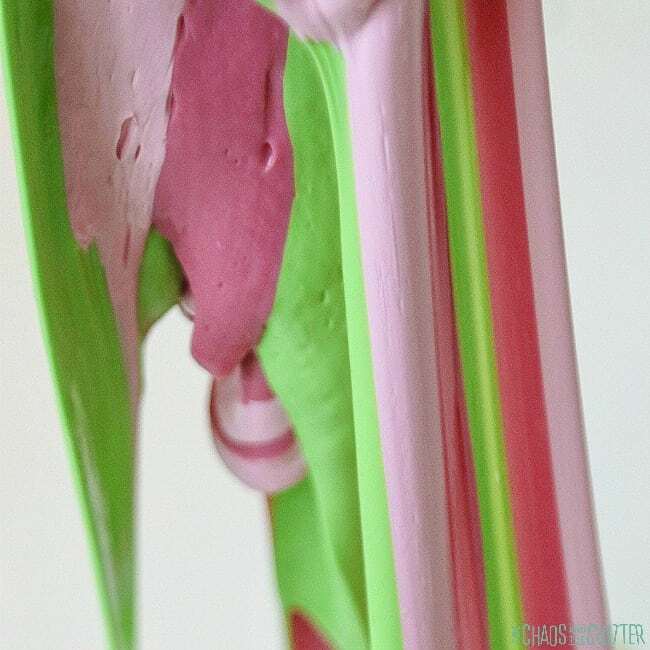 To ensure that you get stretchy slime, you need to read the ingredients on your saline solution and be sure that it contains sodium borate and boric acid. 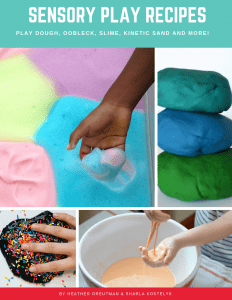 Sign up for our Sensory Solutions and Activities email series and get a free sample of our Sensory Play Recipes eBook so that you can create more sensory fun. I love Minnie Mouse! 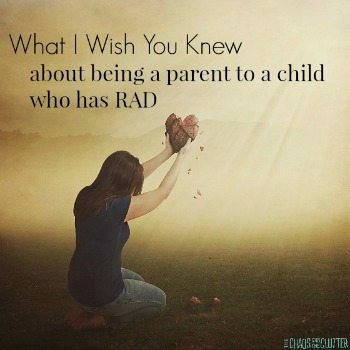 I know that’s not the most grown-up thing to admit, but I seriously do. My purse and wallet are even Minnie Mouse themed and I have a hoodie inspired by her. 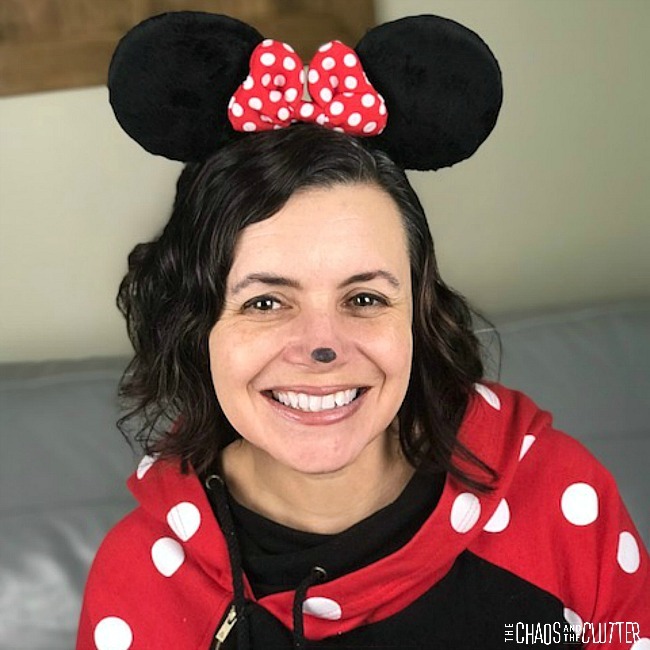 This Hallowe’en, I even dressed as Minnie Mouse to hand out candy. So, making a Minnie Mouse slime wasn’t much of a stretch. Well, the slime does stretch, but you get what I mean! In a small mixing bowl, pour the entire 5 oz. bottle of clear glue. Drop in a few drops of red food colouring. Stir. Pour in a generous amount of fine red glitter. Add 1 Tbsp. contact solution to the mixture. It will begin to form instantly. At this point, it will be very sticky! Don’t panic! Continue to mix the solution in the bowl until it starts to form. Store the Minnie Mouse slime in an airtight container. 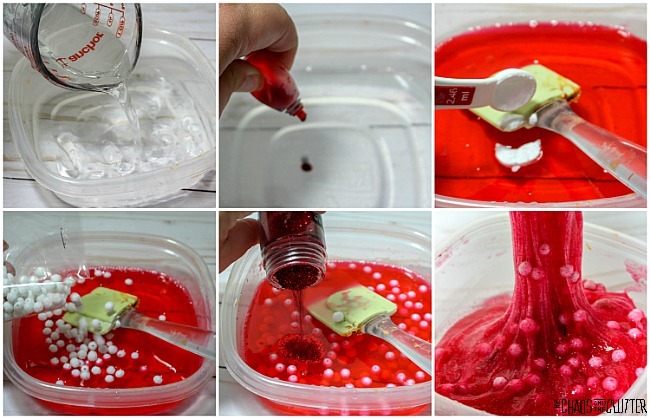 Creating a Minnie Mouse inspired slime was so simple. By adding the red colouring, red glitter, and the white beads, the finished slime is reminiscent of my favourite cartoon character. The beads become the polka dots. I’m not sure where my love of Minnie began. For me, Disneyland really does feel like the happiest place on Earth. It is perhaps that love of Disneyland that led me to be her fan as well. Besides the obvious appeal of this particular slime for me, I also like the sensory input it provides. All slime is good for proprioceptive input. When kids knead, pull, stretch, and squish, they are getting much needed proprioceptive input. This can help in emotional regulation and mood. 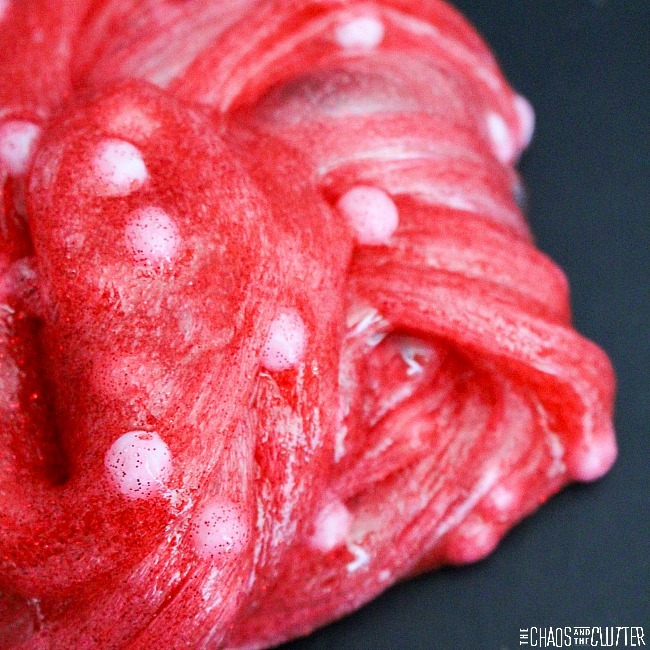 The beads in this Minnie Mouse slime provide an extra texture element. This is excellent for tactile sensory input. Find other sensory play recipes by grabbing a free sample of our Sensory Play Recipes eBook. Simple enter your email below and you’ll be on your way! 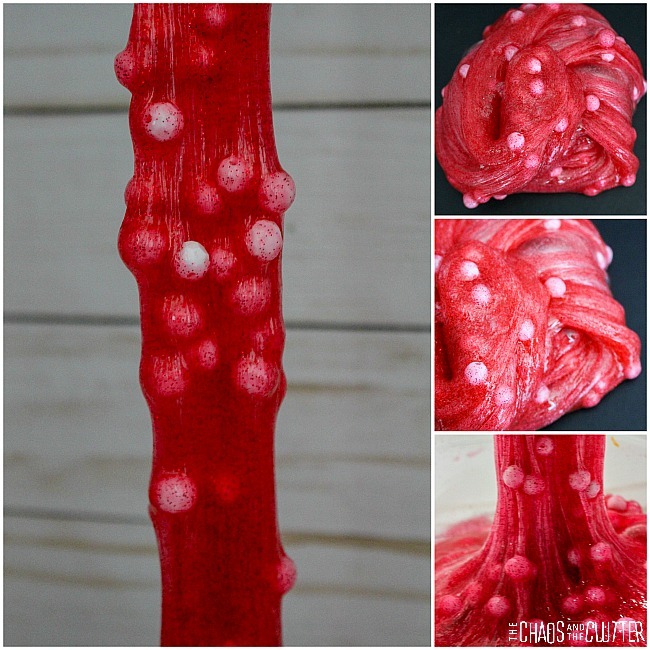 Looking for more slime inspiration? 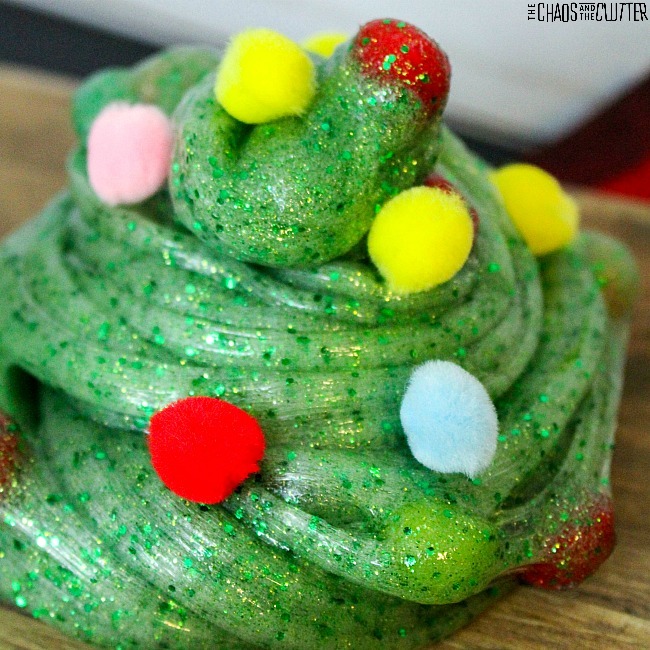 When we made our original stretchy Christmas Tree Slime, the kids enjoyed it, but were wishing they could have slime that actually looked like a Christmas Tree and count be “decorated”. 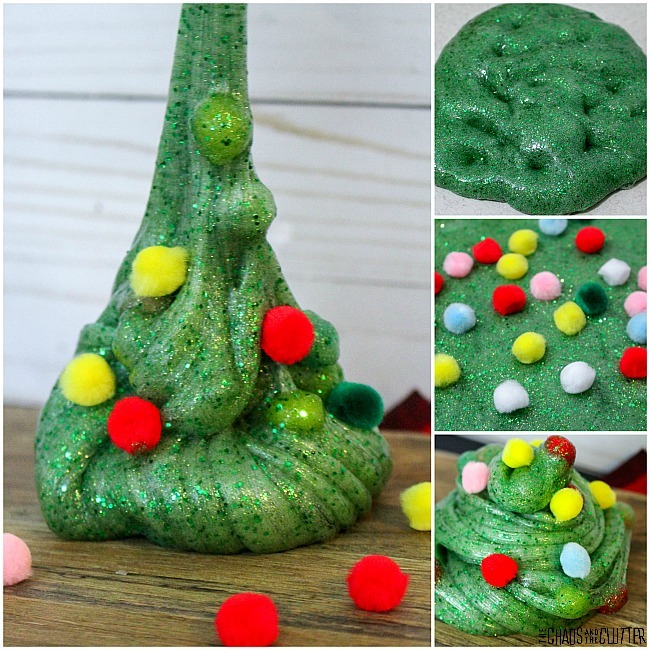 This holiday scented Christmas tree slime is just what they were looking for! 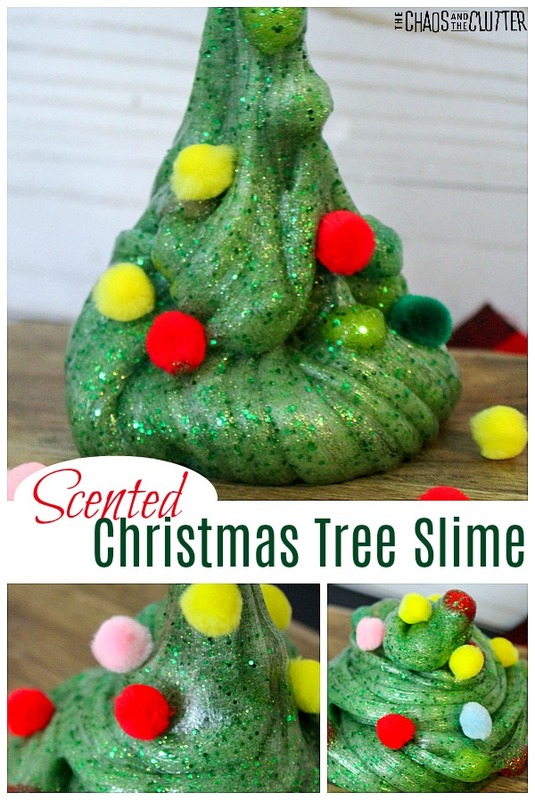 This holiday scented Christmas tree slime allows kids to use their imaginations as they “decorate” the tree. It also provides tactile, visual, olfactory (scent), and proprioceptive sensory feedback. Add 1/2 cup of water. Mix until the glue has broken up and is incorporated into the water. I use warm water for this so that it mixes more easily. Add a few drops of green candy color, mixing until you get the perfect Christmas tree colour. Add a drop or two of pine essential oil. 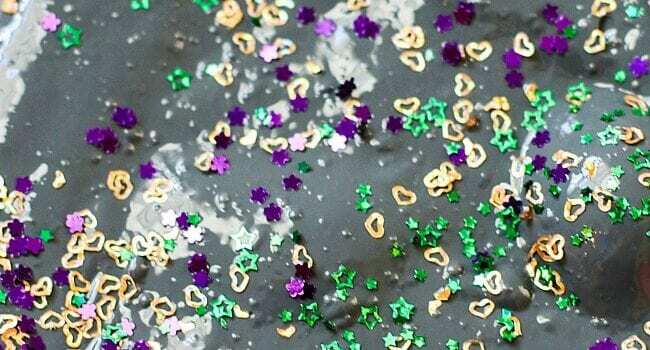 Sprinkle in your glitter. I used a mix of chunky and fine glitter. Stir everything together. Mix in 1/2 tsp. baking soda. The baking soda will help determine your slime’s thickness. Mix in 1 Tbsp of contact solution. Be sure that your contact solution contains boric acid. Contact solution determines the stickiness of the slime. The slime will be ready to knead when it pulls away from the sides of the bowl. Knead the slime. At first, it will be sticky. Just keep kneading it! If you have to, you can add a little bit more contact solution, but be careful not to over-activate it by adding too much. Add some multi-colour pompoms as the “ornaments” on the tree. Be sure to store the slime in an airtight container. During the holidays, it can be even more important to have sensory play activities around. When kids aren’t doing their regular routine, they can have a harder time self-regulating. 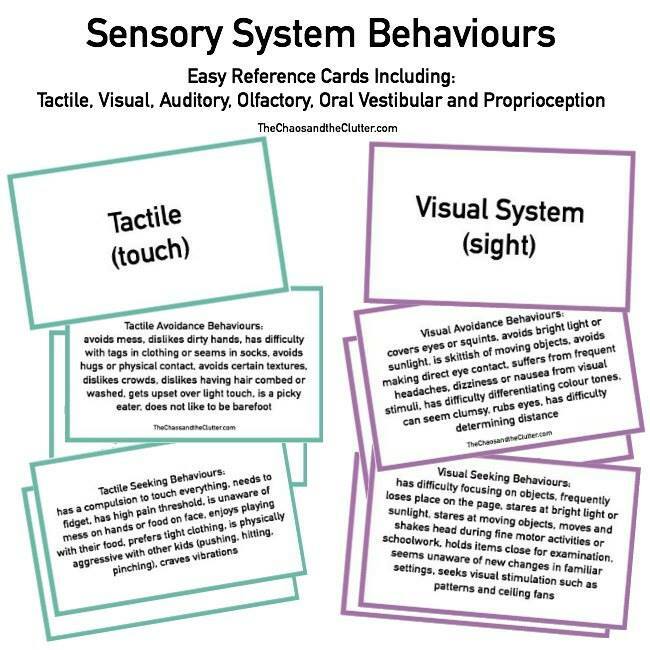 Ensuring that they are receiving plenty of sensory input, particularly the type that provides proprioceptive feedback can help them to regulate. With kids not only being out of routine, but also not receiving as much natural sensory input at school or out in the community, you will need to provide many opportunities for them. 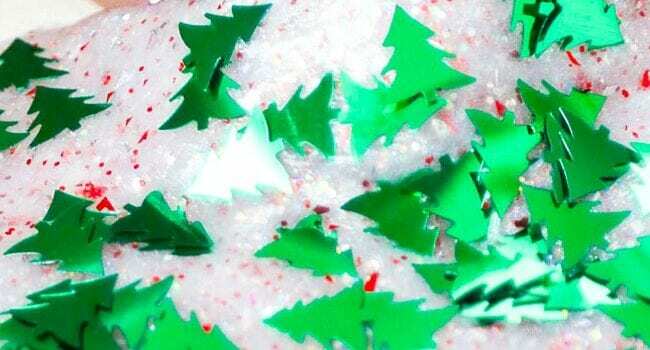 Holiday themed sensory play is an easy way to do that. It’s always the time of year for cool slime. Christmas time is no exception. 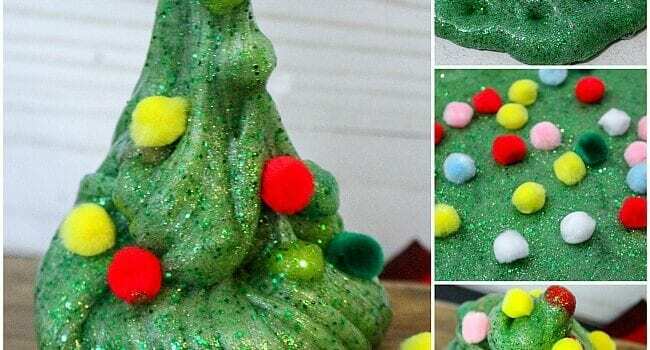 That’s why we love this stretchy slime recipe with a Christmas tree holiday theme. 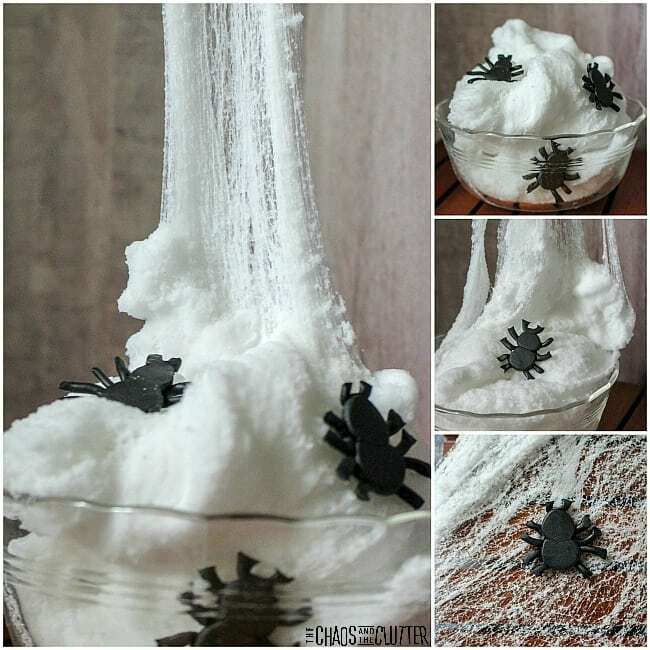 It’s a fun slime and easy to make. Stretchy slime makes a great gift for your child to give their friends or for you to give your nieces and nephews. 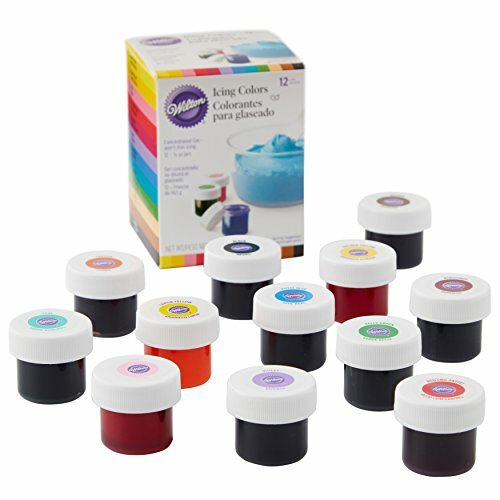 You can either give them the completed slime in an airtight container or print the recipe for them and gift them the supplies. Kids love things they can make themselves! 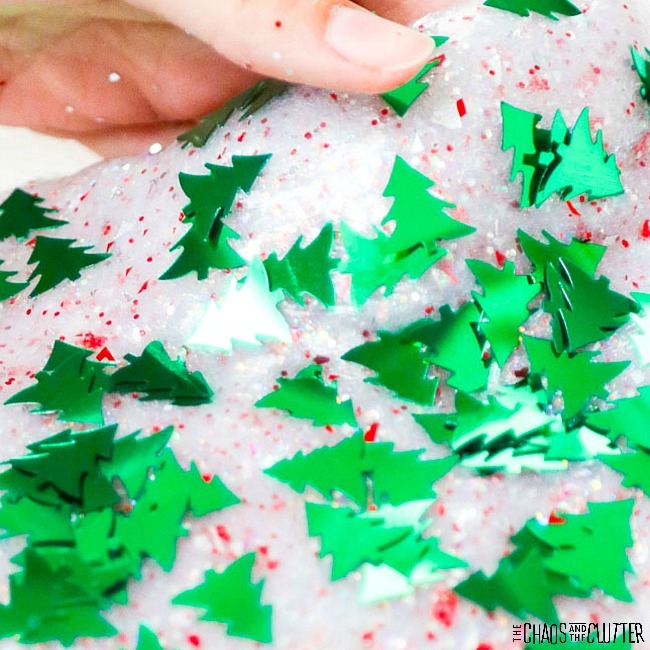 You can easily change out the Christmas trees for another type of festive confetti to create other versions of holiday slime. Consider using confetti shapes like candy canes, ornaments, snowflakes, reindeer, gingerbread, or stockings. You can find some wonderful Christmas themed confetti at the dollar store. 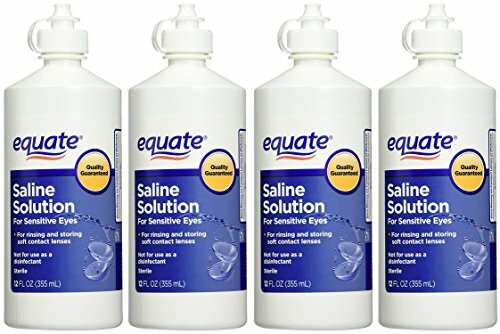 *Be sure that you use a buffered contact lens saline solution. Pour the glue into a large mixing bowl and add the baking soda. Begin to add the contact lens solution a few drops at a time as you stir. When you find that the mixture begins to pull away from the bowl, knead by hand. 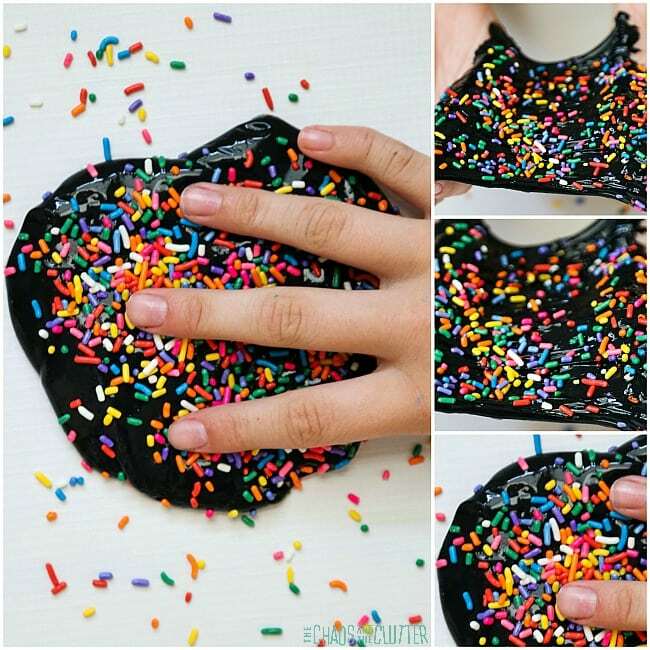 Add the confetti sprinkles in and fold them in. Continue kneading. The best stretchy slime is made more by feel than by recipe. If you find that your slime is too sticky, add a few more drops of the saline solution. If it’s not sticky enough, you can add a drop or two more of the glue. Play around with it until you get the consistency you’re going for. Some people prefer their slime to be a bit more sticky and others hate the sticky feeling. Understanding that everyone has different sensory preferences, feel free to adjust the recipe to your preference. 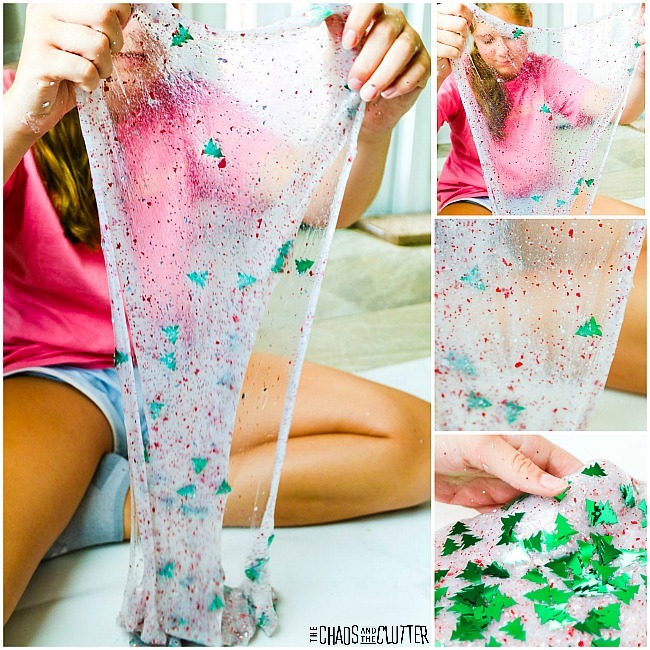 This holiday slime recipe makes a super stretchy slime. Part of the fun for kids is seeing how far their slime can stretch. 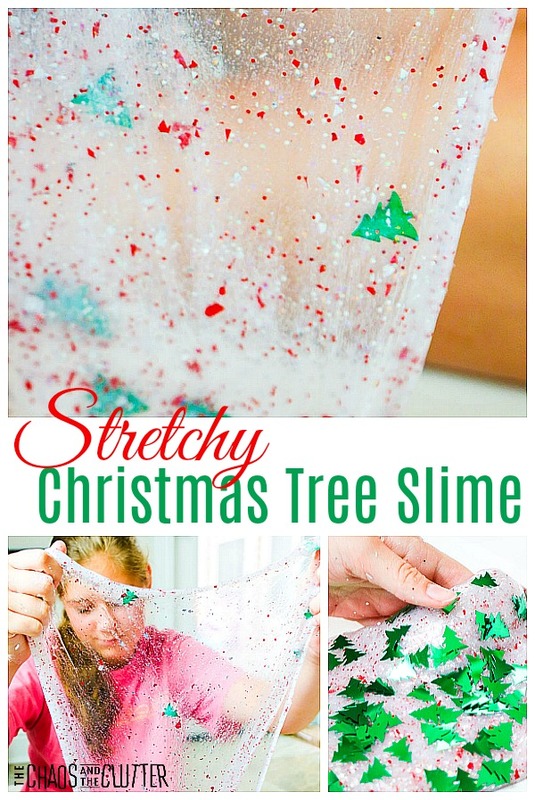 Making this Christmas tree stretchy slime is a perfect activity for that time in between the last day of school before the holidays and Christmas. Kids tend to be brimming with extra energy and excitement during that time. Giving them good sensory play opportunities can help them regulate their emotions and remain more calm. The pulling and stretching and kneading of this stretchy slime gives kids what’s called proprioception feedback. Proprioception is excellent for helping kids self-regulate. 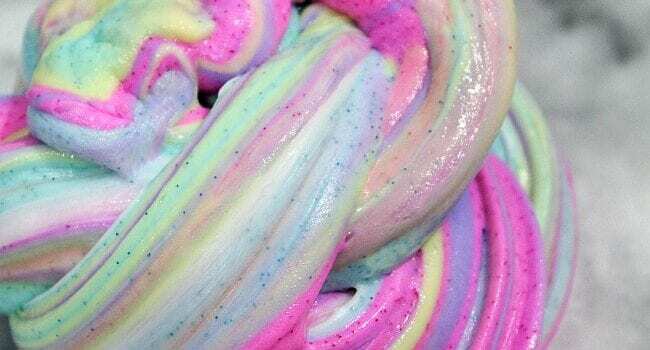 While the kids think that they are just trying out a cool slime recipe, you’ll be able to see the effects that the sensory play has on their mood and behaviour. The kids will be happy with their slime and their parents will be happy with more calm in the house. That’s what I can a win-win! 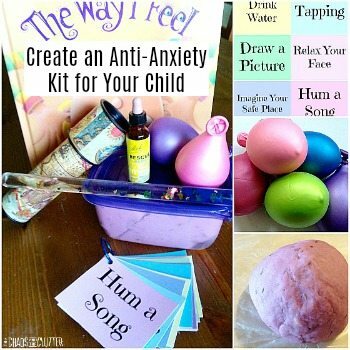 Need more sensory play ideas for calm kids? Includes cool slimes, ooblecks, playdoughs, cloud doughs, kinetic sand, and more, all in one handy guide. 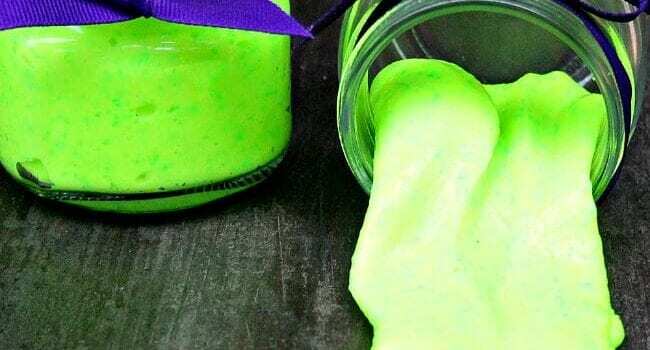 Glow in the dark slime is easier to make than you may think. 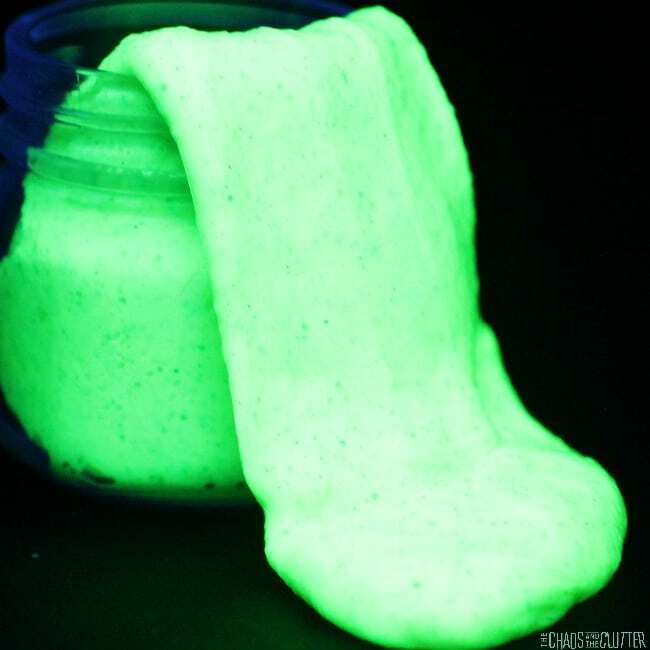 This particular slime doesn’t even need a black light to glow. Adult supervision should always be used when making slime. Add the glue and essential oil to a small glass bowl and stir. Add the glow in the dark paint or gel, the glow in the dark powder, and the baking soda. Add 1 Tablespoon of contact solution to the bowl. Mix well. You know that the slime mixture is ready to come out of the bowl when it pulls away from the edges of the bowl. You may need to add another Tablespoon or two to the mixture for it to come away completely. Remove the slime from the bowl* and knead it on a flat surface until it’s nice and smooth. 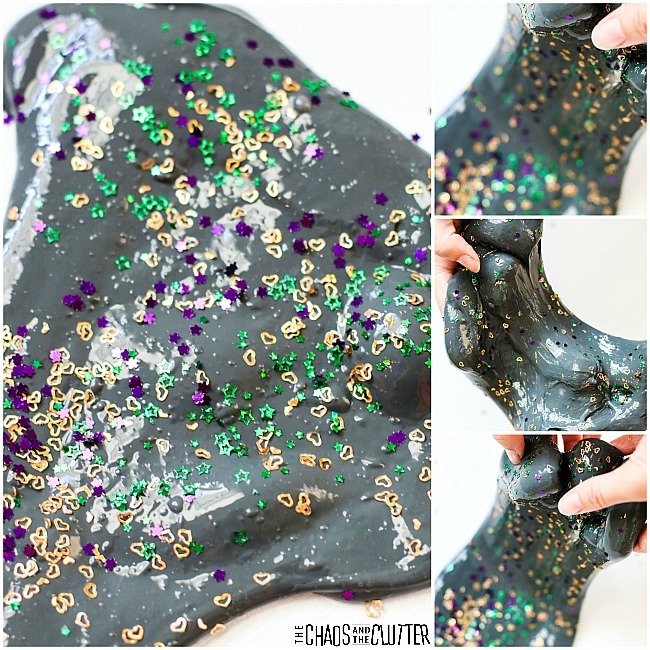 Add the glitter and continue to knead until it is incorporated into the slime. 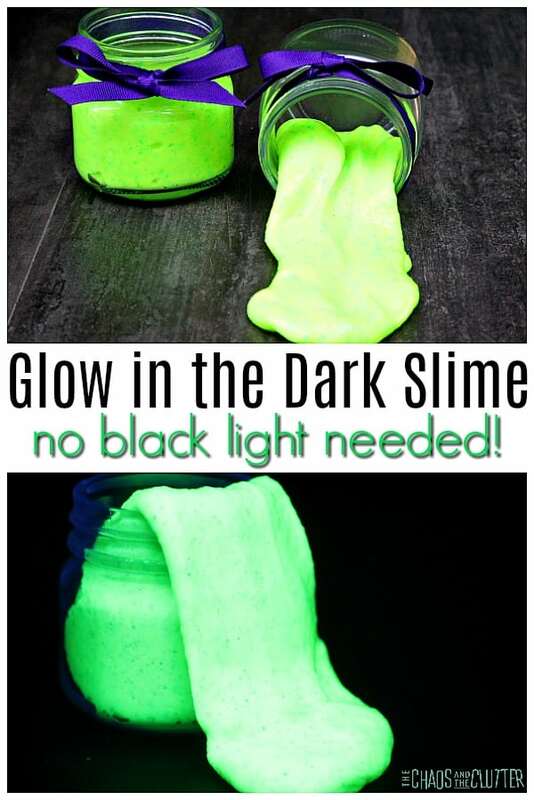 To make the slime glow, hold it under a light or take it into the sunlight for about 30 seconds. Then, bring it into a completely dark room and it will glow! 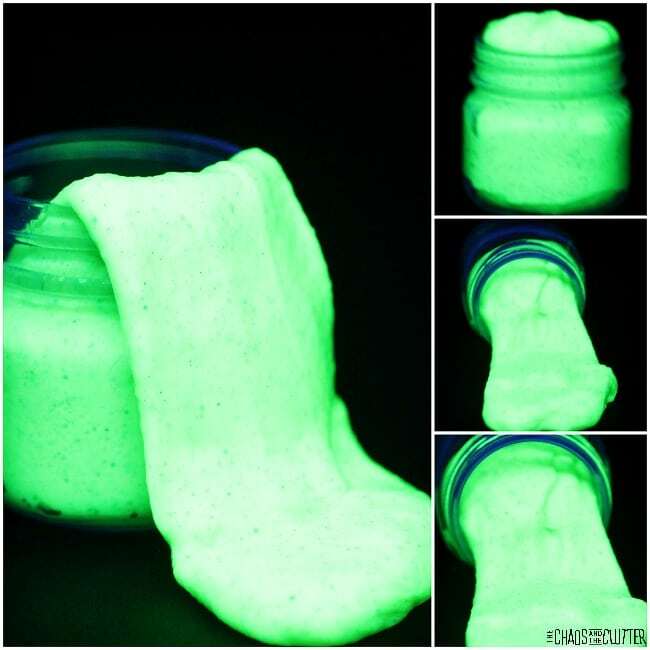 Store the glow in the dark slime in an airtight container or plastic bag. If stored properly, this slime will keep for a long time. *Pro slime making tip: Squeeze a drop of the saline solution onto your finger and rub gently onto both hands before handling the slime. This will prevent the slime from sticking to you. 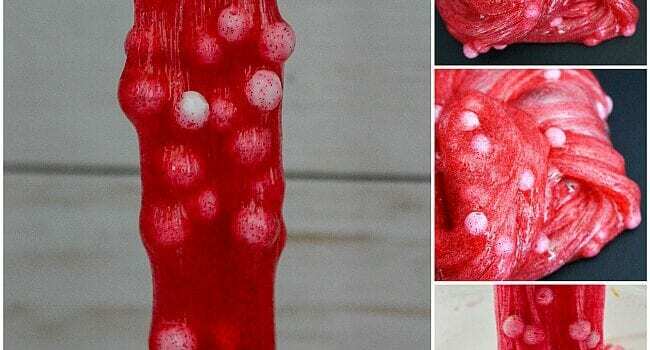 This slime would be cool to make for Halloween or for a sleepover party. The kids could enjoy its glow after dark. If you want to give it out as party favours, you can use baby food jars as containers wrapped with purple ribbon around the top.